On March 20th, appeals judges of the U.N. War Crimes Tribunal for the former Yugoslavia voted to uphold former President of Republika Srpska Radovan Karadzic’s conviction for genocide in the Srebrenica Massacre. This genocide occurred when Serbian nationalists took over a United Nations-declared “safe area” around the town of Srebrenica and murdered 8,000 Muslim men and boys in 1995. Though Karadzic was given a 40-year prison sentence in 2016, appeals judges recently concluded that this sentence was not consonant with the severity of his crimes. After three years behind bars, Karadzic’s sentence has now been elevated to a life sentence. While Karadzic's reconviction serves as an acknowledgment of the gravity of this tragedy from the international community, a continuing climate of Serbian nationalism and denial of wrongdoing persists in Republika Srpska. Evidence of this denial is reflected in their parliament’s decision to annul a 2004 report which acknowledged that thousands of Muslims were killed by Bosnian Serb officials in Srebrenica. Even in the town of Srebrenica where the Massacre occurred, Mayor Mladen Grujicic continues to deny the atrocity. Amidst denial and propaganda, one survivor of the Srebrenica Massacre is not waiting for the perpetrators’ acknowledgment. It took him more than twenty years to talk about what happened to him in Srebrenica, and now he’s sharing his story to educate a new generation. One of only six known survivors out of some 8,000 victims, Nedzad Avdic now delivers education to young people about genocide and the case of Srebrenica. Education that, for Avdic, remains ever relevant. In an interview conducted last year, Avdic warned that an increasingly polarized climate across Europe presents the possibility of genocidal violence. He said that “[w]e still see mass persecutions and killings all over the world” driven by similar sentiments. He also pointed to the rise of “chauvinistic rhetoric” and the ways in which it is stoking “tensions all over the world” that we must be prepared to confront. Only recently, we learned that the gunman who killed 50 people—all Muslims—in Christchurch, New Zealand in an attack on two mosques during Friday prayers was listening to a song praising Karadzic. This is a terrifying reminder of the way that hatred and violence spread across borders. Former Secretary-General of the United Nations Kofi Annan said that "[t]he tragedy of Srebrenica will forever haunt the history of the United Nations." And this tragedy haunts us all. 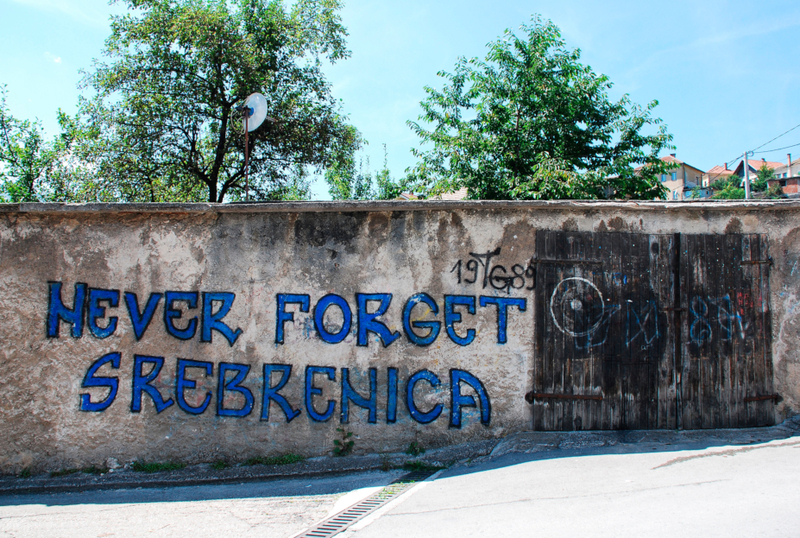 Srebrenica is not an inert historical artifact, an event frozen in time. We continue to live with its legacies, including the hatred, propaganda, and nationalism that informed the genocide. Srebrenica also reminds us of the need to prioritize prevention, the goal of Nedzad Avdic’s work. And to do this, we must learn to recognize the early warning signs of mass violence, including the development of an us-versus-them dynamic—as well as patterns of discrimination and dehumanization—wherever they arise. Facing History and Ourselves invites educators to use our original Teaching Idea, “Responding with Humanity: Helping Students Raise Their Voices Against Genocide” in the classroom.